● Still have two giveaways running here and here. ● Even thought I haven't reviewed much this week, I've read a few awesome books that'll be posted upon release, might be yet another giveaway, or six coming up soon. ● Fear not international booknerds, your time is coming up in the next two weeks to win. ● The fabulous girls at A Book so Fathomless are chatting about Blogging Love. ● The Deadly Darlings ask the question, what if our fictional male characters were real? ● and these squishy Notebookers ask the publishers, do you dig the snark? 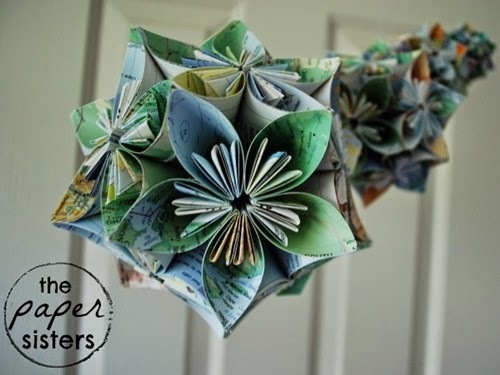 This week I'm featuring those fabulous Notebook Sisters, who's paper creations will blow your socks off. I've been privileged enough to have seen these beautiful works of art previously on their blog, but for those of you that haven't, these are simply spectacular! I asked Cait about their gorgeous works of art and where we can buy them from. Check out their Paper Sisters Facebook page. I'm ordering mine this weekend. I love books so much I cut them up. What? It's a natural progression! 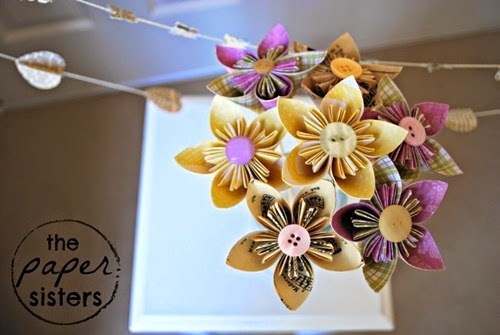 When I'm not reading, I turn books into origami paper creations and sell them as a small home business, called The Paper Sisters. Just like my blog, I co-run the business with 2 of my sisters. I get old yellowed books from second-hand stores. Then I turn them into flowers, bunting, or baby mobiles. The best? Comic books. 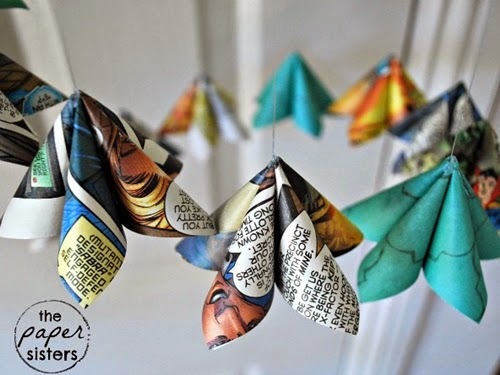 There's nothing like X-Men speech bubbles being folded into a flower. I love books, though, I promise! Books + art = intense fun. 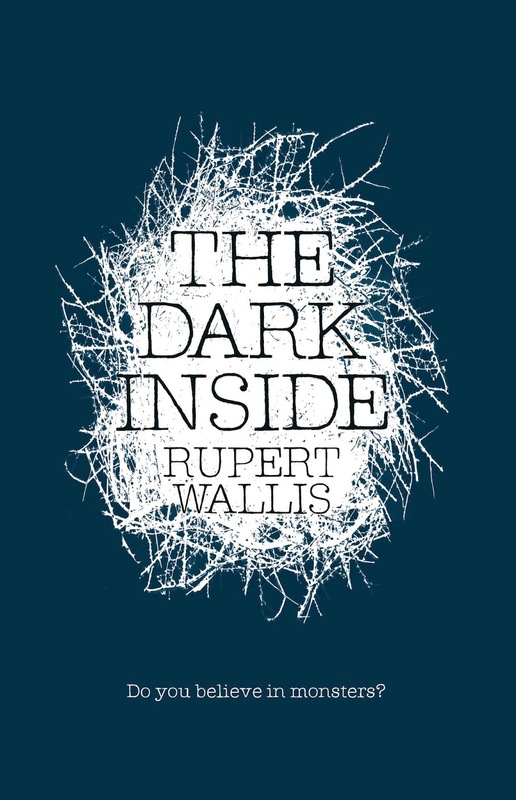 The Dark Inside by Rupert Wallis. I was lucky to have been offered a proof copy ARC of what is said to be an incredible young adult paranormal mystery. Thank you to Simon and Schuster. An awesome new science fiction series from New Zealand author Rachael Craw. Spark looks phenomenal, and I love my science fiction. A big thanks to Walker Books Australia. Oh my word. 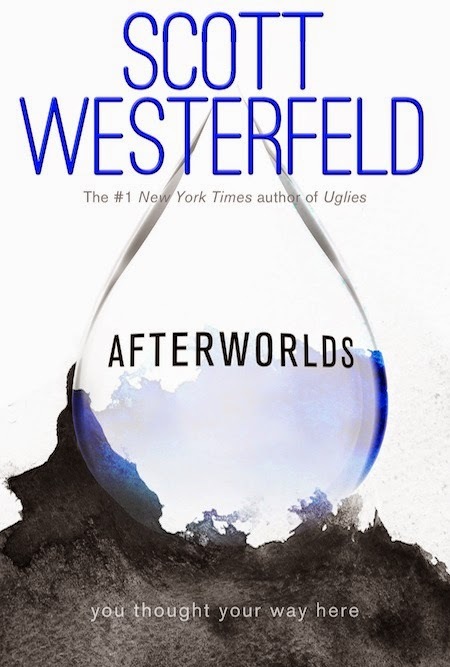 I'm not approved for many digital advanced reading copies on Edelweiss, so you can imagine how surprised I was when Simon Pulse said yes, go forth and read Afterworlds by Scott Westerfeld. I have an obsession with The Walking Dead, so have been buying the paperback editions to add to my collection. These are supposidly a side story to the television series, so loo forward to reading these to bridge the gap while I wait for season five. 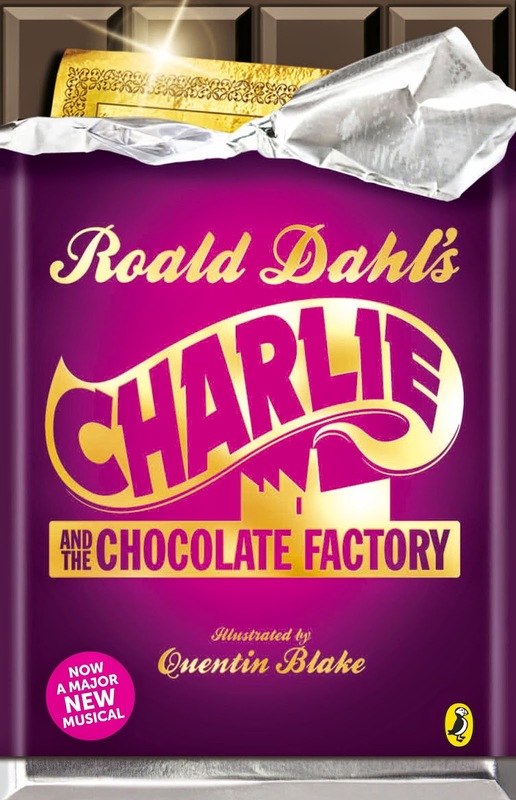 And an odd one to have purchased together, Charlie and the Chocolate Factory. Zombies eat people, I eat chocolate. Everybody wins. I have the original, but this is the musical tie in edition and I couldn't resist the cover. I couldn't imagine cutting up those books. It's bad enough cutting up magazines. But the Paper Sisters are very talented. I really like that first shot looking up at the darker ones with the aqua ones spaced about them. I'm a bit on the fence about reading Afterworlds now that I've read Pretties and not enjoyed it that much. I really got into his Midnighters series though. I might borrow this when it comes out and see if he can draw me back in. Felicity made it sound pretty cool at the Penguin thing back in April. Aren't they brilliant! I'm totally in awe of these girls. The first one I believe is a comic book, just incredible. I'd love to see what they could do with sheet music. I think the Uglies series was probably pretty good for a dystopian at the time, even now it's pretty unique. The problem is, we've all been spoiled by these awesome and newer titles and the Uglies are pretty outdated now. I enjoyed them when I read them, but looking back and if I picked one up today, I probably wouldn't. Thanks for stopping by Brett, and make sure you show us how your mum's cake turned out. Yum! I really hope you enjoy it as much as I did Sunny, it was such an emotional read. Ahh, The Walking Dead! The wait for season five is far too long, so have also been hunting down the Xbox game as well to keep my sanity in check. Thanks for stopping by. Those paper works are beautiful but ahhh cutting up a book? That kills me. I'm interested to see how Spark turns out as I talk to the author quite frequently. I've never read anything by Scott Westerfeld even though I have Uglies so maybe I should start now that he's writing even more books. For the sake of art, it's so worth it though. 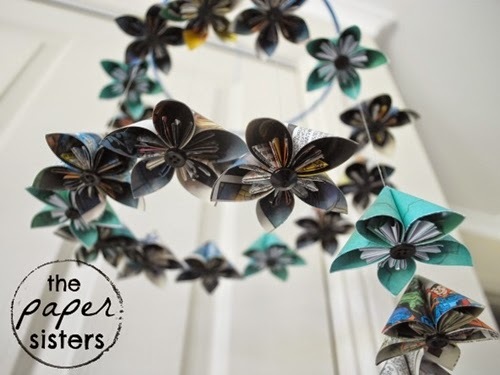 Some books are horrid reads, but can still have a second life as a beautiful paper mobile or bunting. So creative! Have you read Spark? I actually requested this one and was thrilled when Walker Books said yes. I'm really excited to read it. I've got the first two paperbacks in The Walking Dead series and still have to buy the third. I'm way behind on the TV show as well. I still haven't had a chance to watch the end of season 2!!! I still have the third to purchase as well. I only got into The Walking Dead this year and absolutely LOVED it! It gets better with each season, definitely worth the catch up while waiting for season five. I tell you Jules, I couldn't even attempt to do it. Those girls ate absolutely amazing! Can't wait to see my beautiful little bouquet I'm ordering. I'll post photos to Twitter. Should add that I can't wait until you return from your hiatus. Might pester you to come back sooner. Oooh, the books you got for review all look really good! 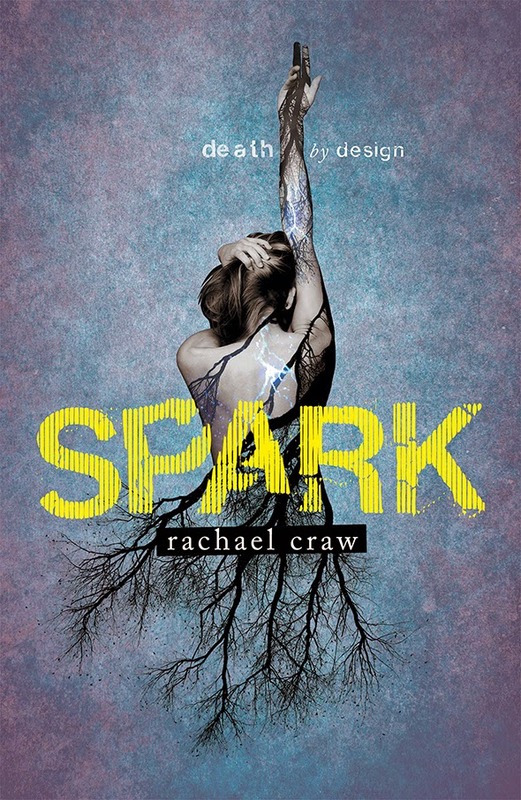 The Dark Inside and Spark both have such interesting covers. I hope you enjoy them! I hope so too Cynthia, they're both ones that I've been hanging out to be released, so was stoked when they arrived. Thanks for popping by. Happy reading. The Dark Inside sounds intriguing! The blurb really doesn't give away much! Aren't they! The first time I seen what those Notebookers create, I was blown away. And with books. BOOKS! When these girls are international names, we'll be able to say, I knew those lovely girls, they made GIFS and snark cool again. OOOH LOOK AT THOSE BEAUTIFUL PAPER CREATIONS. Who is the genius mastermind? They are amazing. I read all the Uglies, and apart from Extras, I actually enjoyed them. Not sure with all the books I have behind me now, if I'd still have that opinion, but excited to start this one. I had no idea he was married to the author of Razorhurst. Just a bit of useless information. You. Are. Incredible. There's nothing you girls can't do. As soon as I seen your works or art, I knew I had to have them. Just phenomenal. OMG those origami creations are amazing! *stares* Moving on, Afterworlds looks really interesting! Yay, go Cait and co! Those are sooooo pretty. I also got Spark, which looks fantastic. I've been so slack at reading your blog, sorry. Since there's no email subscribe I keep forgetting to come and visit! Enjoy your haul, Kel! Spark sounds like it could be great! It's a beautiful way to give them a second life where they can be enjoyed as much as the book itself. I love the concept and what the girls create from a few old pages is incredible. With the Tweets, a such as I support equality, I also support the same respect for those who don't share that stance, and aggressive behaviour isn't how we show acceptance, no matter who you are. Those flowers are so pretty. I hope you enjoy your new books, too! They're stunning aren't they. Those Notebook Sister's are awesome. Thanks for stopping by. I've never actually read it Zoe, although I can recite the movie almost word for word. Been trying yo buy a few children's classics lately, some of them are really hard to come by though. Thank for popping by Zoe. I wish I could claim them, but they are the incredible creations of The Notebook Sisters. You'll find all the information about and a link to their blog. Happy reading and thanks for visiting. Even though I dread cutting up books these are ABSOLUTELY GORGEOUS!! Definitely going to get my hands on some of these. Now I just have to figure out where to put it before I actually go and buy >.< Ohhhh, Spark and Afterworlds look really good! I haven't read any Scot Westerfeld before, but I do own his books... haha Happy Reading! Those paper flowers are too cool. I hope you like YA Midnight Reads! I haven't seen The Dark Inside until now. Interesting. I love that new cover of Charle and the Chocolate Factory! Plus I must add that the paper flowers are so unique! Love them. 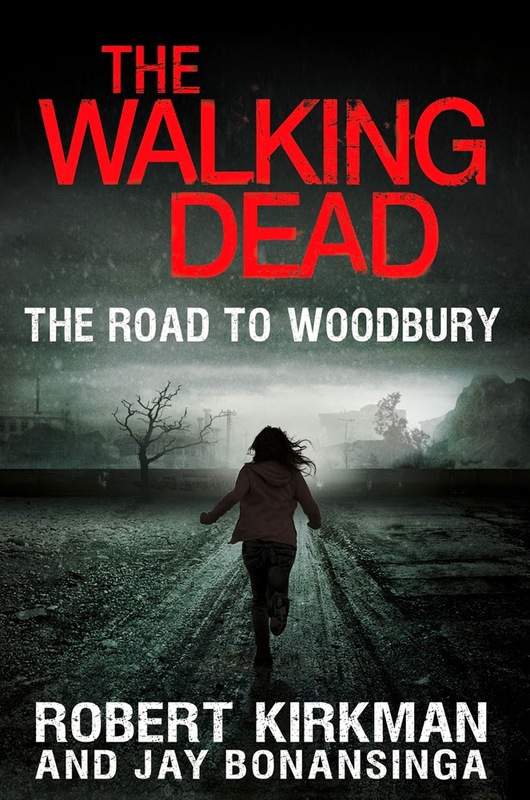 YESSS you must let us know what that Walking Dead book is like, it is one of my favourite shows ever (I knew we had a connection). Congrats on your Afterworlds ARC, it looks awesome and I hope it's good! I think Cait and Mime are super talented and hilarious girls too!